Bring on the fall decor! Who else started to decorate this weekend? So much goodness happening around here. I’ve almost burned through an entire apple spice candle and I have pumpkins EVERYWHERE. They are taking over and I love it. I’ve teamed up with ScotchBlue to bring you my next fall project. 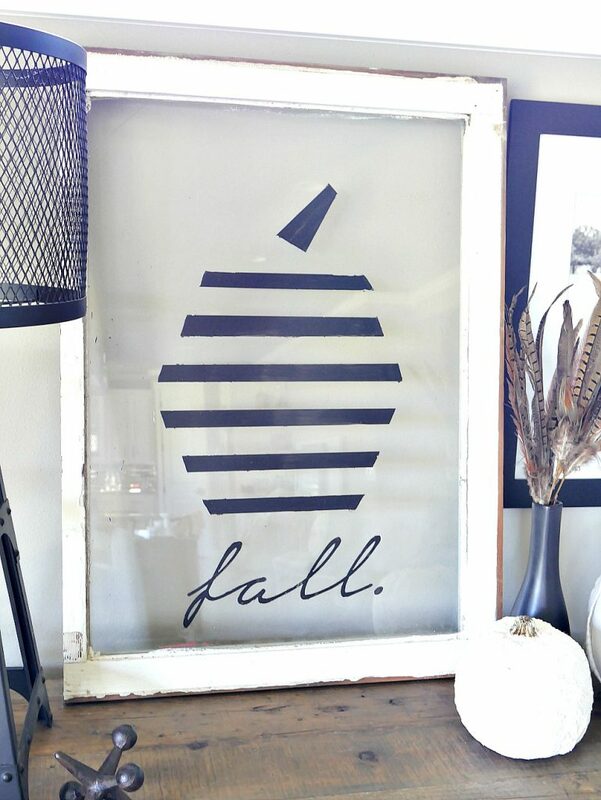 I repurposed and old window and created a rustic pumpkin sign with a modern touch. 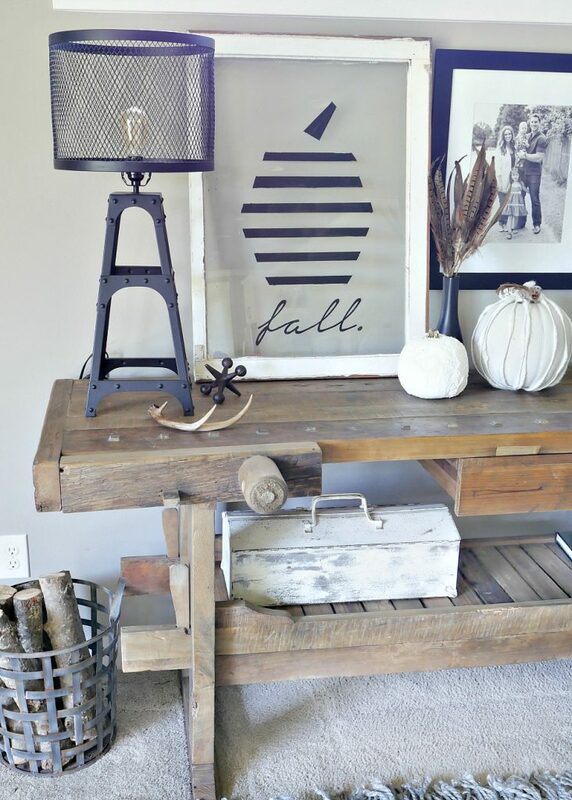 This is something anyone can do, it’s super simple yet adds a touch of fall to your every day decor. 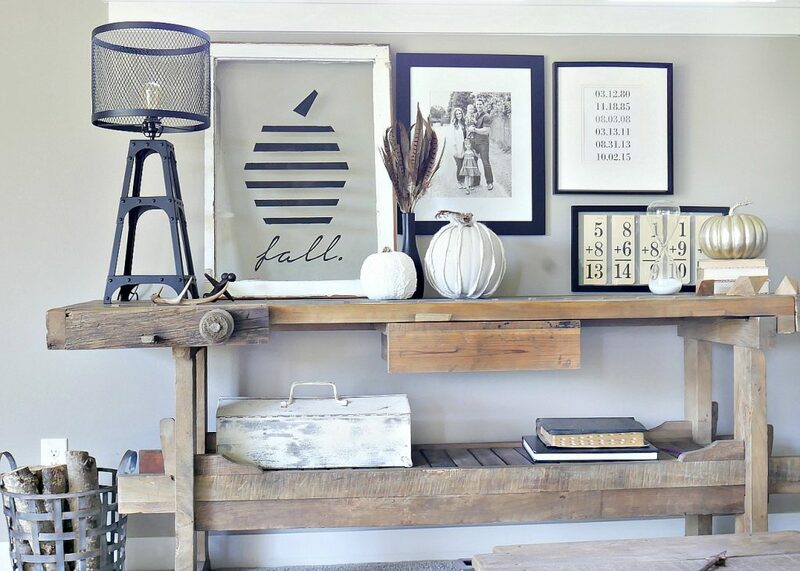 I made this pier to go on my black and white vignette in our family room, I just swapped out a few pictures and it instantly transformed into fall. The clean lines give it a modern look while the window keeps it rustic and full of character. Ready to see how easy this was to make? Let’s start from the beginning. Start by cleaning the window. When I purchased my vintage window it was apparent that it hadn’t been cared for in years. There were pools of dirt and cobwebs all over it. To make things easy I pulled out the vacuum and removed as much as I could before cleaning it. Next, prepare the glass for tape. 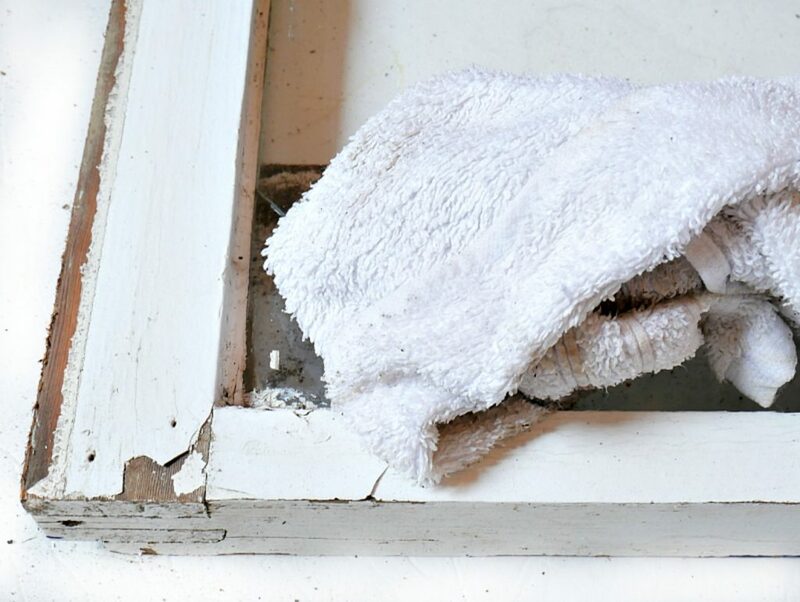 I typically use a rag dipped in warm soapy water to remove any excess dirt and clean the glass. This has always worked well for me. Then, let it dry completely. 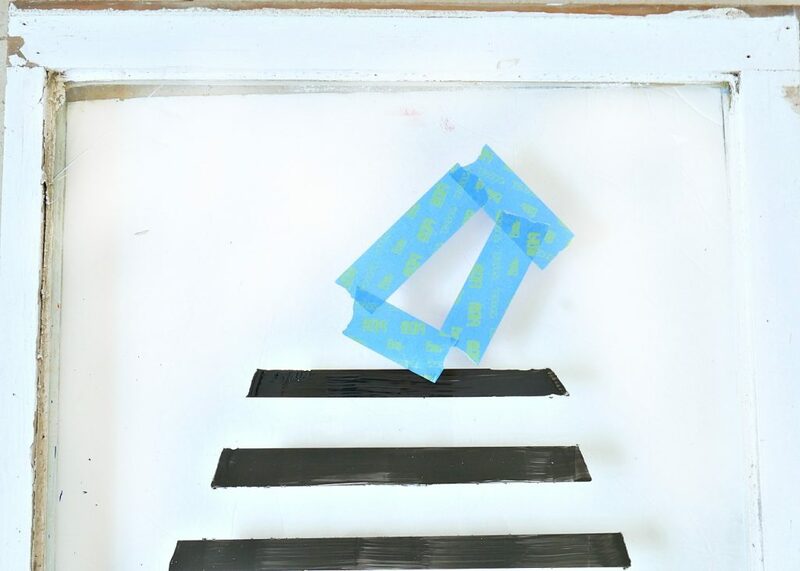 Using your ScotchBlue Multi-Surface Painter’s Tape, pull off one strip and place it in the middle of the window. It helps to use a measuring tape to make sure you have the same amount of spacing on both sides. 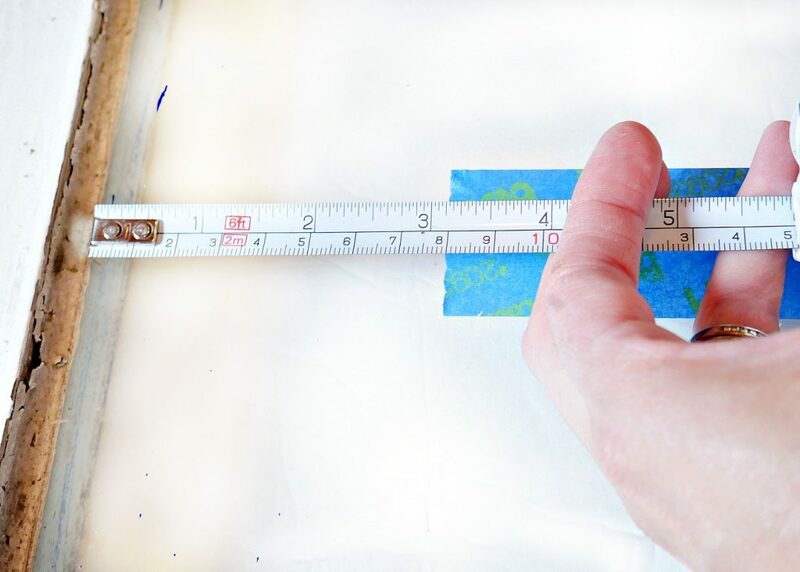 Then, place three strips of tape below the middle line and three above the line leaving a 1” gap and gradually making each piece of tape shorter. 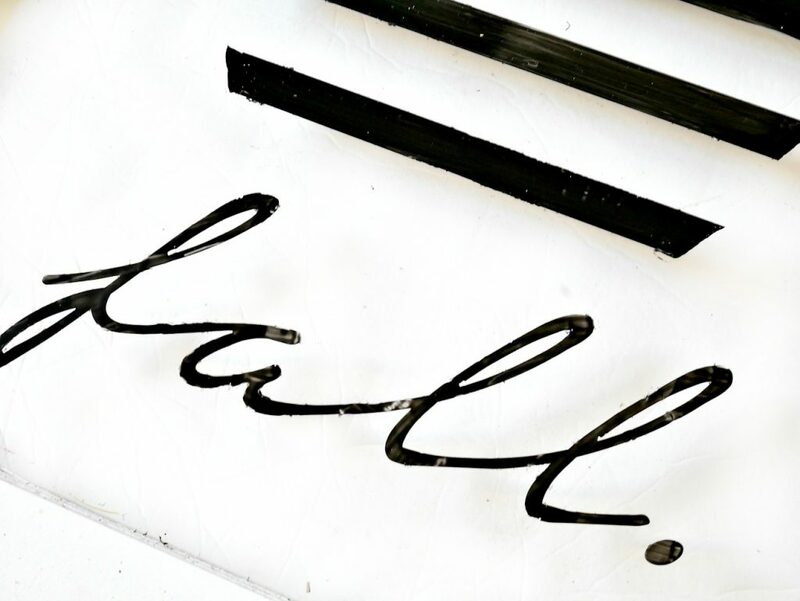 When painting on glass, it’s important that you use a paint that is specifically made for glass. There are several acrylic paints that are made for glass, just make sure you are using the right one or your paint will scratch off! You can find them at any craft store. 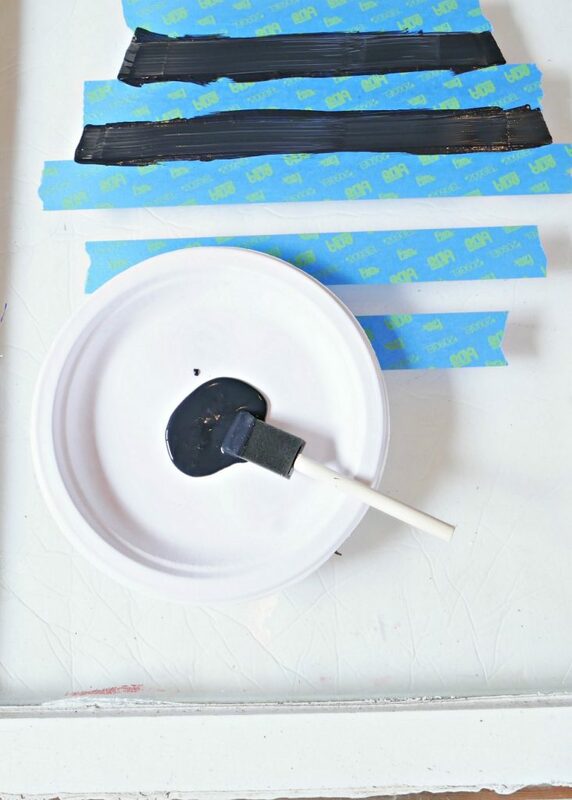 Using a foam brush, gently paint on two coats of black acrylic glass paint. 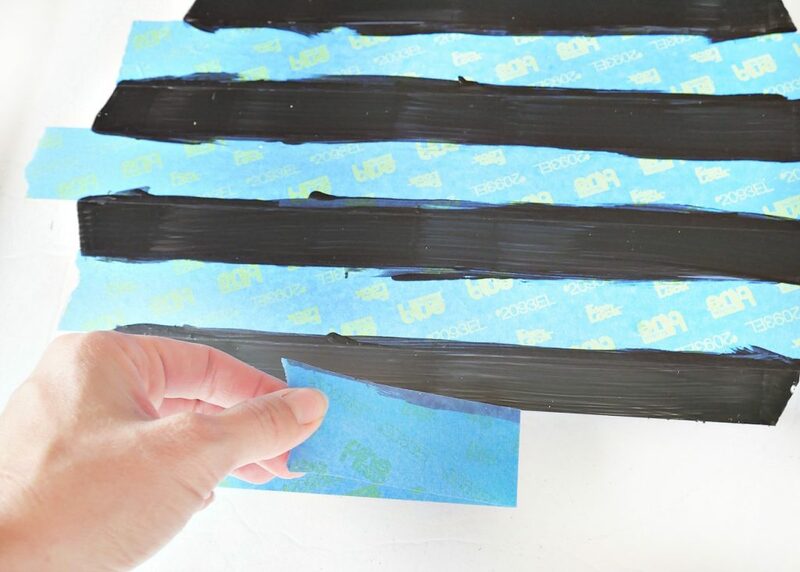 Once dry remove the tape by carefully pulling it back on itself and removing at a 45-degree angle. For the stem, I made a triangle using the ScotchBlue Multi-Surface Painter’s Tape and then painted two coats of paint. 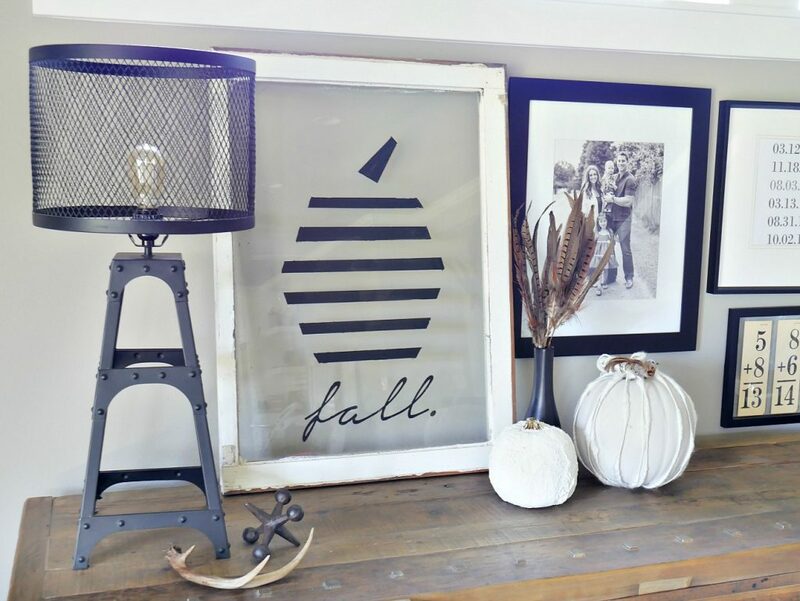 Now display the piece in your home and add some other fun fall décor! 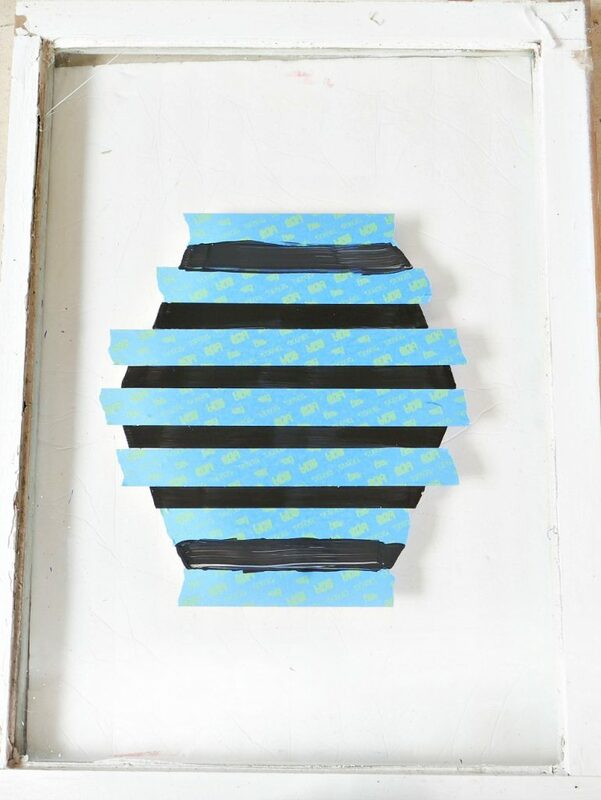 Check out the Inspiration Hub for more projects using ScotchBlue Painter’s Tape! Taryn Whiteaker is the voice of style behind TarynWhiteaker.com (formerly Design, Dining and Diapers) ! Taryn is a previous PR/Marketing professional who got back to her creative roots after becoming a mom and now shares her passion for home decor and design for the world to see. Taryn lives in the greater Seattle area with her husband and three kids and loves coffee, the outdoors, and exploring with her family. This is so different and I love the way you’ve styled it! Hey Taryn! This project is absolutely wonderful! It’s so simple, yet effective! I featured this today on my blog if you’d like to come take a look. Thanks for inspiring so many! First, where did you get that incredible lamp, love, love industrial look of it?. Ok, now to Fall decos. Your pumpkins are awesome Taryn, great idea letting paint roll down from top, no way to plan but looks incredible. Lucky you if it’s getting cooler up there, still hot as blazes here, enuf already. Only way I can tolerate heat, in the water, on my floaty. Could float out on water for hours, never want to go in to shore. We live about 7 1/2 miles from a state park lake but don’t get to go. Somebody gets bored. All images on this site are copyright of Design, Dining and Diapers, LLC. Unless otherwise noted. You may not use these images without written permission. If you would like to feature a project shown on Design, Dining and Diapers you may use a maximum of 2 images and include a visible link back to the project.